Hello and welcome everyone! I have a VERY special blog post for you today. Kylie Bertucci is Stampin' Up! 's #1 Demonstrator in Australia and she is incredible. She helps not only her own "Crazy Crafters" team, but also demonstrators around the world with her weekly Facebook Live videos and more. 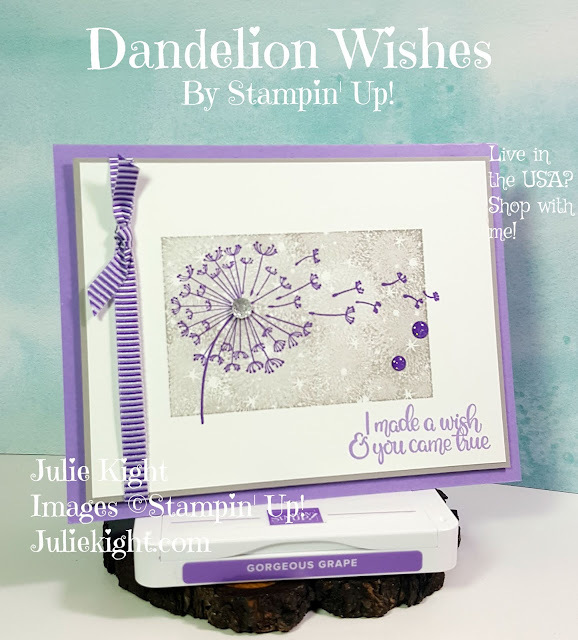 Last week on Kylie's Facebook Live Chat with her customers, demonstrators, and all else who want to join, she shared this amazing card that she made Live with us. 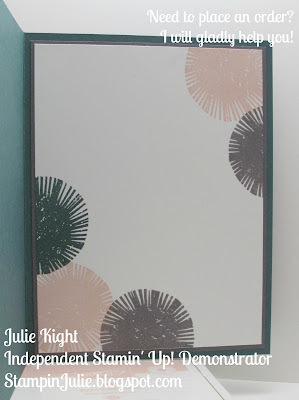 She remade a card using new colors from another card that she had made the week before for the Be Inspired Blog Hop. It came out looking so wonderful and I loved the color combination. Later last week I came across some digital paper with a color combination I instantly fell in love with and suddenly thought of Kylie's card and knew the two would go great together, so here it is. I used the color combination of Powder Pink, Tranquil Tide, Smoky Slate, Basic Gray, and Whisper White. The first two are from the new 2017-2019 Stampin' Up! In Colors. I also had everything else she had used in the card so I was set. 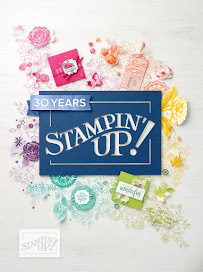 The stamp set "Lovely Inside & Out" is part of the new 2017-2018 Annual Catalog from Stampin' Up!. As demonstrators we are allowed to purchase a select number of items from the new catalog a month early so we are able to get samples made and our customers excited about what is coming out. Also as a demonstrator if you go to OnStage, which was in April this year, you are extra privileged to purchase select items from the catalog as an award for going so that was when I had gotten mine. There is also Framelits that go with this stamp set, which I did not use. I tried to make the card with the same dimensions as I could as Kylie's card but with her in Australia and them using the metric system some measurements don't match quite exact. I used our standard A2 sized card base which is 4-1/4"x 5-1/2". My base is Tranquil Tide. Next there is, in order, Whisper White, Smoky Slate, Whisper White, Basic Gray, and then Whisper White again. I used Powder Pink for the piece going across on top. I heat embossed the "Friend" stamp in White emboss powder and stamped the "Thanks" in Basic Gray. The card front is stamped with Powder Pink, Tranquil Tide, and Basic Gray. Finally, the whole thing is layered together and you have a fantastic card! So what did you think??? Did I do her card justice??? I think so! I am so in love with this color combo that I definitively see me using it again in the future. If you want any of the items I used on this card just click on that item in my supply list and you will go straight to my 24/7 store. I hope you liked today's blog post and I hope you all have a great week. See you tomorrow for an Aim for Alaska Sneak Peek Blog Hop!!! 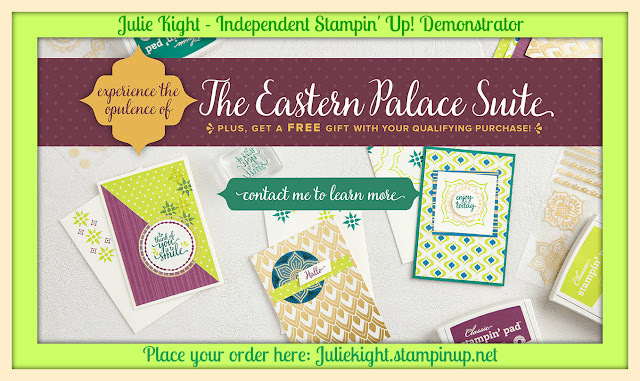 Are you just a beginner stamper and don't know where to get started? Does stamping scare you? 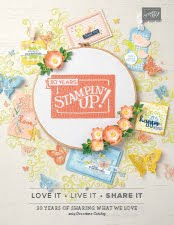 Does the idea of a complete stamping kit with full instructions coming to your door each month sound like a great idea and a way to get started??? Well here it is!! It is called Paper Pumpkin! And if you are a first time subscriber you have the opportunity to get a Paper Pumpkin kit for the next 3 months at a 25% discount!